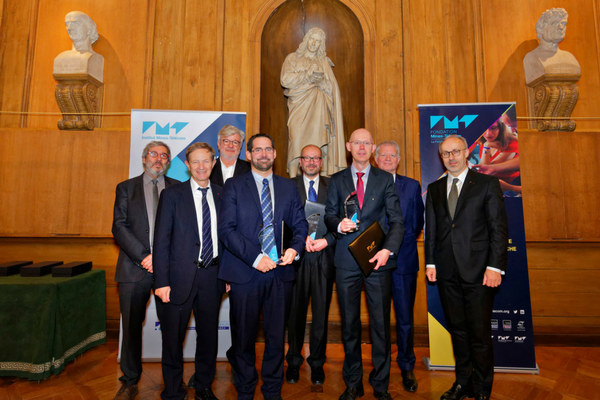 In this first edition, three winners received the IMT – Académie des Sciences Awards, created with the support of Fondation Mines-Télécom with the aim of rewarding exceptional scientific contributions in the fields of digital technology, energy and the environment. These awards were given on two occasions: on Tuesday, November 21st at a formal meeting at the Institut de France in the presence of all the 2017 Académie des Sciences award-winners, and then on Wednesday 22nd November during a dedicated event. 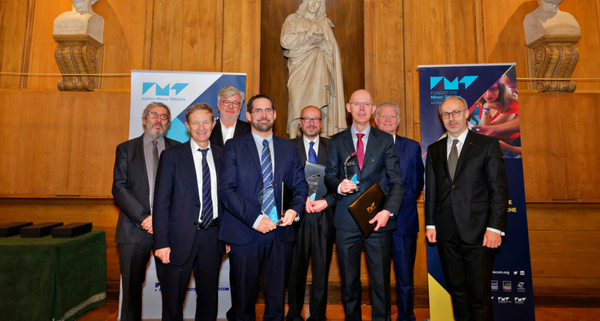 On March 29th, IMT and the Académie des Sciences announced the creation of the new IMT – Académie des Sciences Awards in science and technology relating to digital transformations underway in industry, energy transition and environmental engineering. These awards honor a scientist that has made an exceptional contribution to one of these areas through an outstanding body of work with a “Grand Prix” of €30,000. 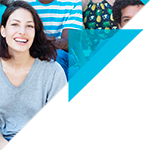 There is also a Young Scientist Prize of €15,000 for a scientist under 40 who has contributed to one of these domains with a major innovation. Last June, the judging panel assessed the 20 nominations they received; 13 for the Grand Prix and 7 for the Young Scientist Prize. For this first edition, the judging panel chose two candidates for the IMT – Académie des Sciences Grand Prix: Sébastien Bigo from Nokia Bell Labs and Pierre Rouchon from Mines ParisTech. > Sébastien Bigo, 47, is the director of research group “Réseaux IP et Optiques” at Nokia Bell Labs, and is part of the French Graduate School in Optics Applied to Telecommunications. Through his numerous innovations, he has been and continues to be a global pioneer in high-speed fiber optic transmission. The topics he has studied have been presented in 300 journal publications and at conferences. He has also filed 42 patents representing an impressive number of contributions to different aspects of the scientific field that he has had such a profound impact on. These multiple results have been cited over 8,000 times and have enabled 29 experimental demonstrations to take place, together constituting a world record in terms of bandwidth or transmission distance. Some of the resultant innovations have generated significant economic activity. Particular examples include Teralight Fiber, rolled out over several million kilometers, and coherent networks which are now used by billions every week. These are certainly two of France’s most resounding successes in communication technology. > Pierre Rouchon, 57, is a professor at Mines ParisTech, and the director of the Mathematics and Systems research unit at the same school. He is a recognized specialist in Control Theory. 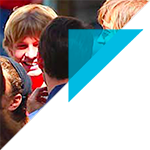 He has made major scientific contributions to the three themes of this discipline: signage systems in connection with trajectory planning, quantum systems and invariant asymptomatic observers. His work has had and continues to have a significant impact on a fundamental level. His work has been presented in 168 publications which have been cited 12,000 times and been the subject of 9 patents. This is further reinforced by industrial collaborations, where concrete and original solutions have been created. Examples of this include Schneider Electric’s order for electric engines, developing cryogenic distillation of air for Air Liquide and regulating diesel engines to reduce fine particle emissions with IFP and PSA. > Julien Bras, 39, has been a lecturer and research supervisor at Grenoble INP- Pagora since 2006, as well as being deputy director of LGP2 (Paper Process Engineering Lab), after having begun his professional career as an engineer in a company in the paper industry in Italy and Finland. For over 15 years Julien Bras has been focusing his research on developing new, highly innovative engineering procedures, with the aim of discovering a new generation of high-performance cellulosic biomaterials and developing the use of these agro-resources. His scientific career features 111 publications in impact factor reviews and 9 patents. The industrial aspect of his research is not restricted to his collaborations as it also extends to the 9 filed patents and in particular, the founding of two spin-offs to which Julien Bras contributed. The official awards ceremony took place on 21st November at the Institut de France, in the presence of all the Académie des Sciences award winners and Philippe Jamet, the President of IMT. During the event, winners were able to present their work in more detail to IMT’s guests.